PPS offers insurance, investment, healthcare and financial planning solutions with unique benefits exclusively for graduate professionals. PPS membership is open to graduate professionals who hold at least a four-year academic degree or the equivalent thereof at a public University or University of Technology, that is in a profession that is eligible for PPS membership, such as an engineering degree, medical degree, Honours or Masters degree, and who are practicing in the field of their study. The following professions are accepted by PPS: Doctors (belonging to the HPCSA), Surgeons, Pharmacists, Physiotherapists, Dietician, Nurses (with four year B.Cur degree), Gynaecologist, Dentists, Scientists, Biologists, Botanists, Archaeologists, Farmer (with four year degree in agriculture), Audiologist, Accountants, Actuaries, Economists, Auditors, Mathematician, Advocates, Attorneys, Human Resources Practitioners, Industrial Psychologists, Architects, Engineers, Historian, Meteorologist – and more professions. If you are a student in your fourth academic year of study, studying towards one of the PPS eligible professions, you can join PPS. Our members have a unique value proposition by belonging to PPS, as they receive all the profits of the company. Upon retirement, they qualify for a lump sum pay-out of all the accumulated profits. 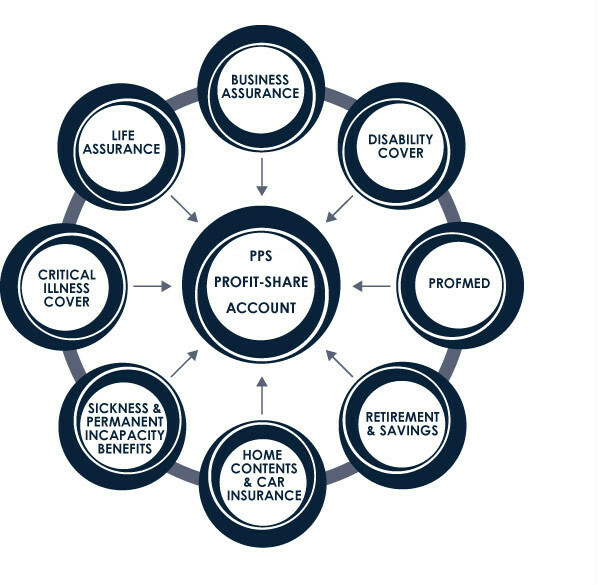 Unlike most financial services providers in South Africa, PPS is not listed on the stock exchange and has no external shareholders – instead, PPS operates under the ethos of mutuality and all PPS’ profits are allocated to PPS members with qualifying products on an annual basis by way of allocations to their PPS Profit-Share Accounts. Leave your details and one of our professionals will promptly contact your for a personalized quotation.